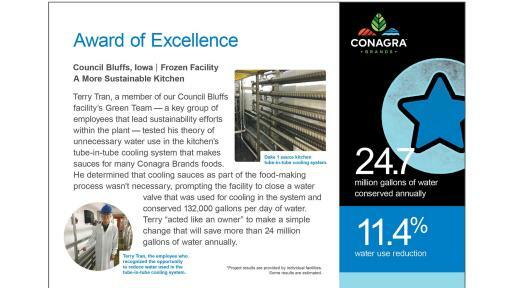 Gail Tavill, vice president, sustainable development, Conagra Brands. 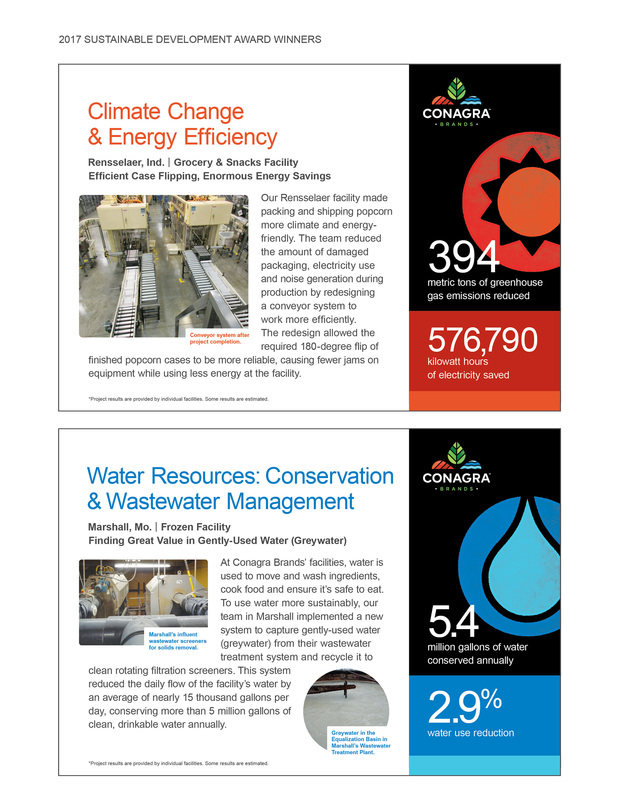 Awards are given to the most breakthrough projects in each area along with an overall Award of Excellence. 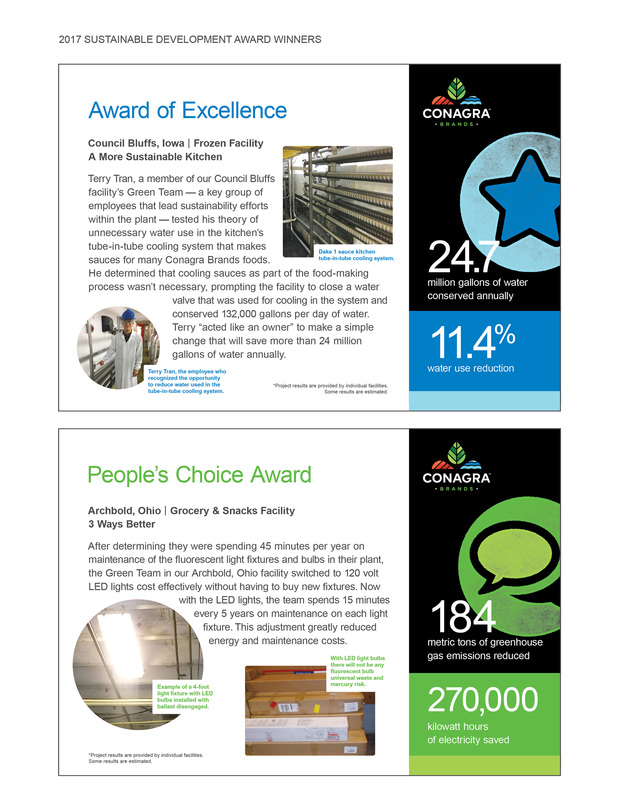 There is also a People’s Choice Award in which all Conagra employees vote for their favorite project. 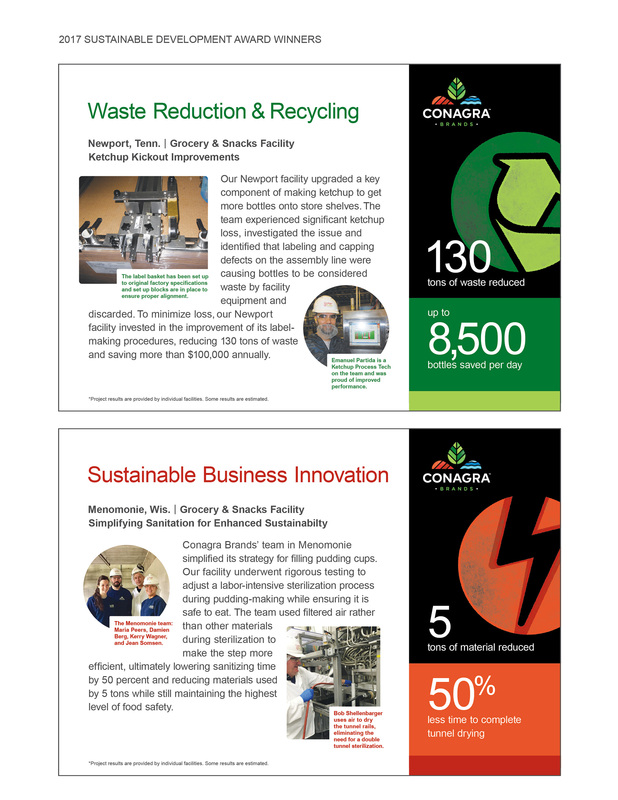 Winning facilities receive a $5,000 grant from the Conagra Brands Foundation for sustainability-focused public service projects in their community. 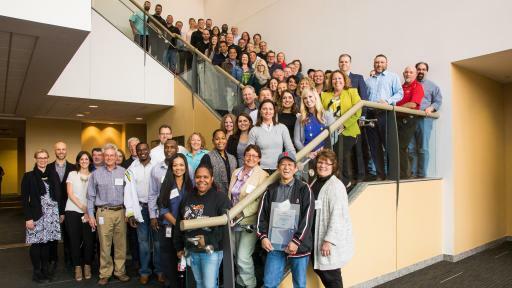 Hosted at the company’s Omaha campus, this year’s Sustainable Development Awards brought together representatives from more than 30 Conagra facilities so employees could share best practices and celebrate the work they are doing to collectively make a difference. 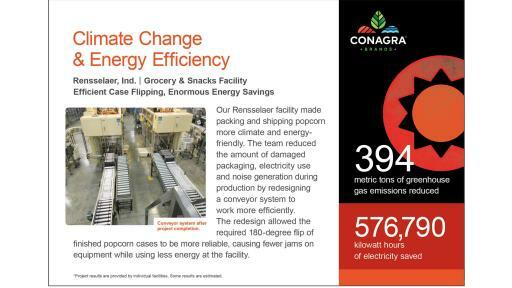 Conagra Brands, Inc. (NYSE: CAG), headquartered in Chicago, is one of North America’s leading branded food companies. 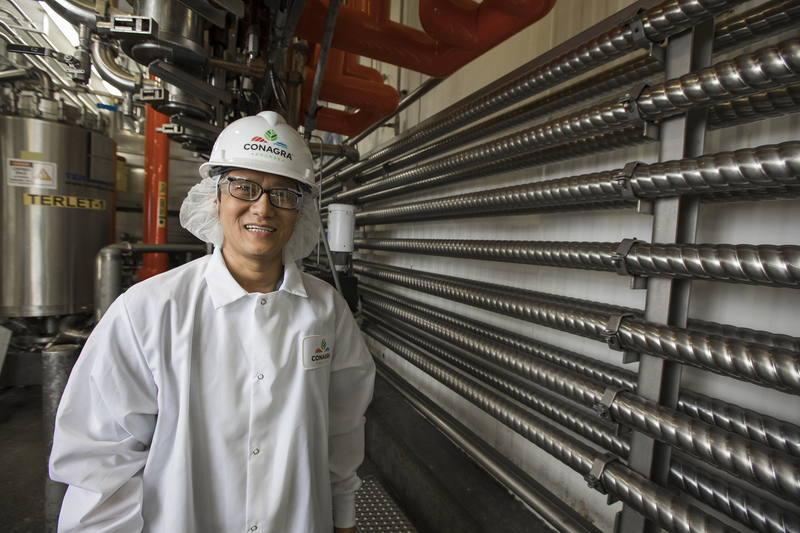 Guided by an entrepreneurial spirit, Conagra Brands combines a rich heritage of making great food with a sharpened focus on innovation. 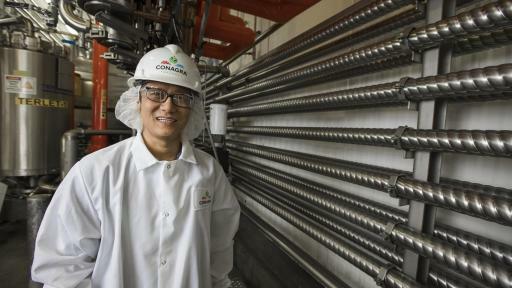 The company’s portfolio is evolving to satisfy people’s changing food preferences. 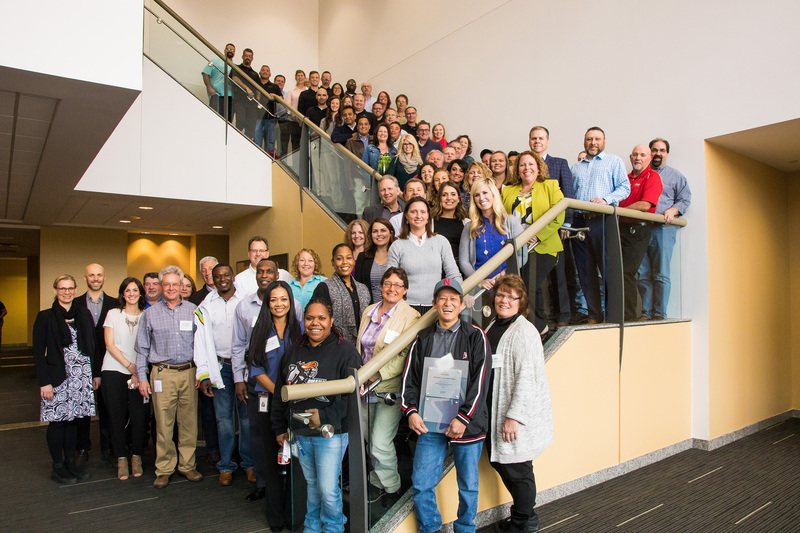 Conagra’s iconic brands, such as Marie Callender’s®, Reddi-wip®, Hunt’s®, Healthy Choice®, Slim Jim® and Orville Redenbacher's®, as well as emerging brands, including Alexia®, Blake’s® and Frontera®, offer choices for every occasion. 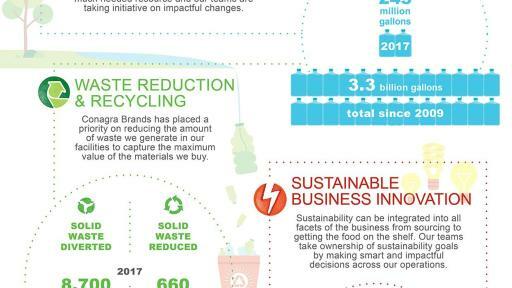 With an ongoing commitment to corporate citizenship, Conagra Brands has been named to the Dow Jones Sustainability™ North America Index for six consecutive years. 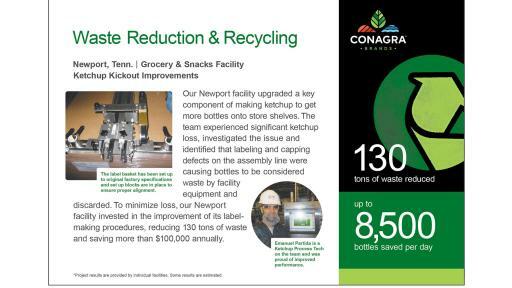 For more information, visit www.conagrabrands.com.